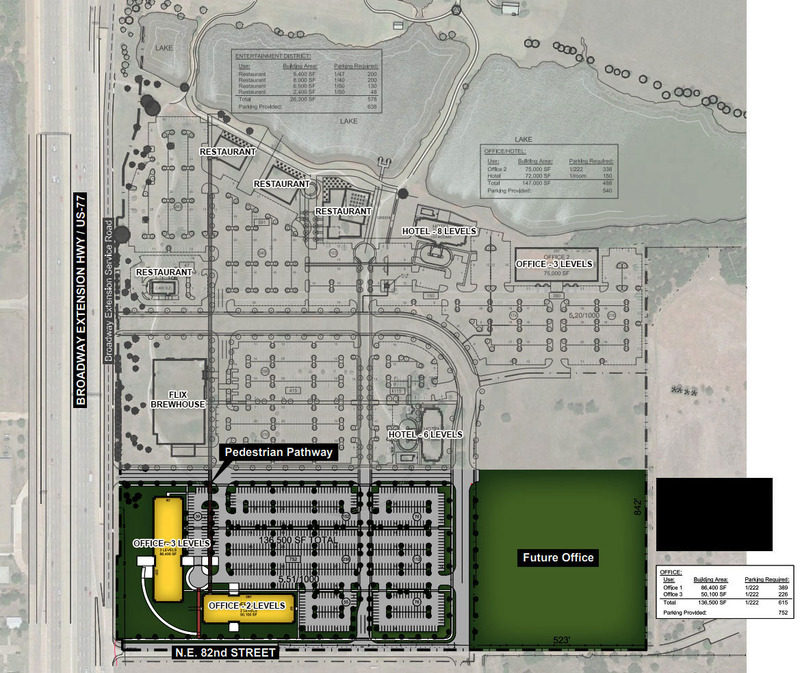 American Fidelity has filed plans for the first phase of an 100-acre mixed use development south of its campus at Broadway Extension and Britton Road. Dubbed 9000 Broadway, conceptual re-zoning documents show 2 hotels and several restaurants and office space, all on the opposite side of two small lakes from American Fidelity's corporate headquarters. The plans also show a large structure for a movie theater on the west side of the property. 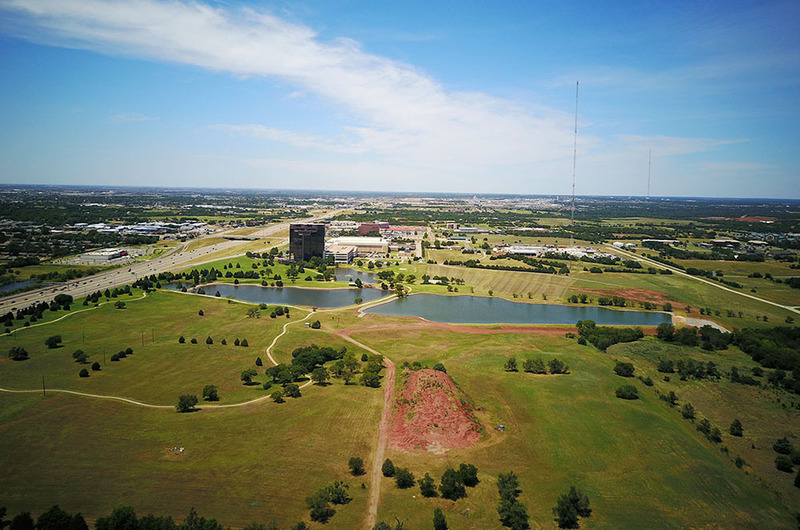 American Fidelity bought the corporate campus and vacant land from the Oklahoma Publishing Company in 2012 and has completely remodeled the 12-story tower and added a large parking structure. Over the last several years, the company has relocated its workforce from buildings it had been leasing at 2000 Classen. 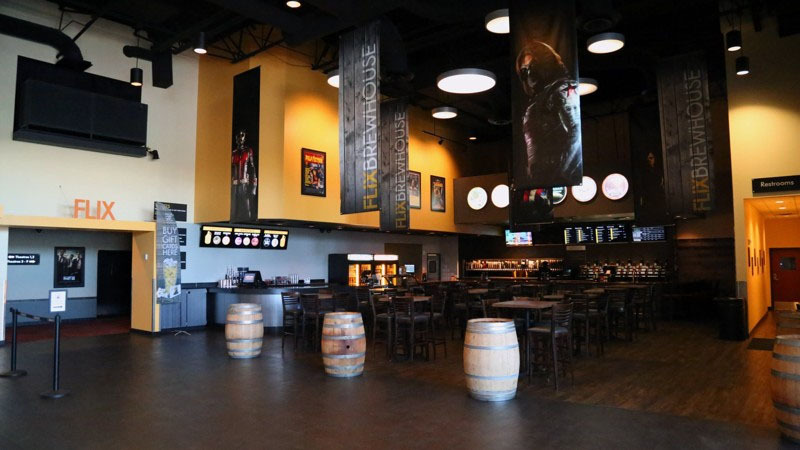 The Oklahoman had previously reported that American Fidelity was working with developer Randy Hogan for a proposed project on the undeveloped land and that talks had commenced with Flix Brewhouse, an Austin-based company which marries on-site brewed craft beers with 7-9 movie screens. The interest by Flix was dependent on Oklahoma passing a new state law that allowed consumption of alcohol in theaters without any serving area being confined to adults-only, as is the case in Moore's Warren Theater. Just this June, Governor Mary Fallin signed into law House Bill 2186 which specifically allows for movie theaters to sell beer and mixed drinks without segregating clientelle into an adults-only section. Flix had stated that any expansion into the Oklahoma market would be contingent on this specific piece of legislation. 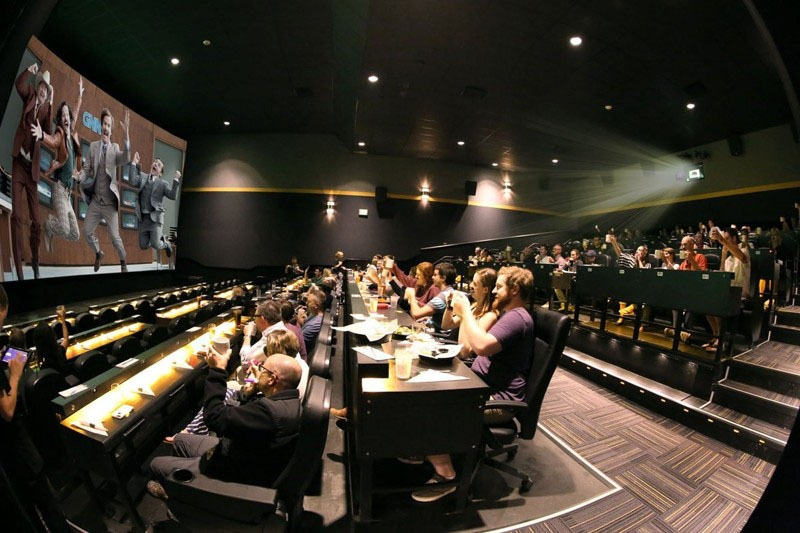 Flix has publicly state a goal of 15 locations by 2020 and currently operate in Round Rock (Austin), Albuquerque, Carmel (Indianapolis), Des Moines, Madison, Little Elm (Dallas) and soon to open in Chandler (Phoenix). The first phase of the project shows two small office buildings on the NE corner of NW 82nd and Broadway Extension. It is unclear when the theater, restaurants and hotel will start. 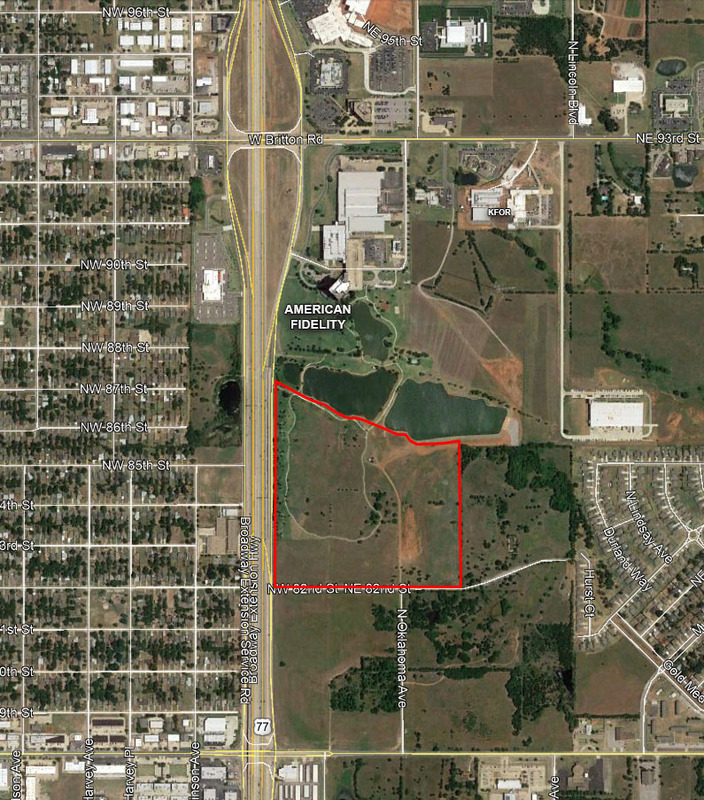 The property directly south of the proposed development is owned by the estate of Aubrey McClendon and was once designed to be the new campus for American Energy Partners. Flix theater auditoriums feature retractable tables which allow food and drink to be served before and during each film.